• Handmade fabric covered button (Size 60 – 1-1.5”/38mm) attached to a retractable badge reel (alligator or slide clip). • Made using E-6000 industrial strength glue. Retractable badge reels are the perfect gift for just about anyone that uses an ID badge. It can also be used to hold items such as keys and accessories. Guaranteed for 30 days; if the button comes off during normal usage or the snap is damaged, please notify the shop owner for a replacement (Photos are helpful so that we determine any defects in materials used). Thank you for visiting Pin A Button On It! We appreciate your business. Items made with upcycled fabric and products are not associated or affiliated with the original copyright owner. 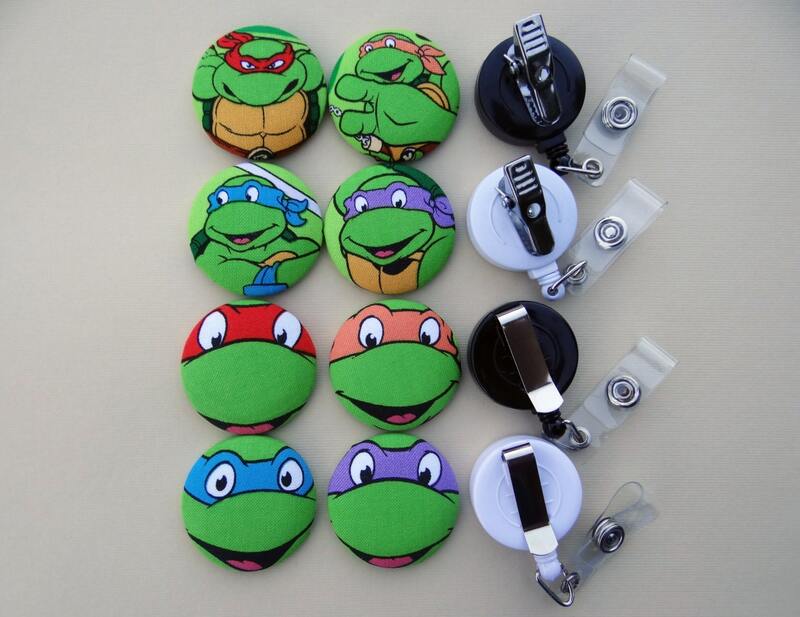 Retractable Badge Holder - Fabric Covered Button - X-D OUT! The preferred method of payment is anything accepted under Etsy policies (no checks or money orders). Returns are only accepted if the item is damaged upon arrival or not as ordered. Buyer is responsible for their return shipping. Item must be received by Pin A Button On It within one week after notifying shop of intentions to return. Refunds can be made if the order has not been processed and shipped. Please contact shop owner for questions. All domestic orders are shipped out within 5-7 business days via USPS and should arrive within 3-5 business days after shipment. If a package does not arrive, please contact me immediately so that I can take care of the issue. It is the buyers responsibility to ensure that the correct address is entered during your order and corrections can be made only if the order has not been shipped. All international orders are shipped out within 5-7 business days via USPS and are subject to delays via customs clearance, etc. Retractable Badge Holder - Fabric Covered Button - Isn't That A Daisy?